Living with his wife in the beautiful town of Sanda, north of the Rokko Mountains in Hyogo Prefecture, Hideo loves his simple life. Born in Tokyo, he graduated from Keio University with a degree in economics. Hideo has held many types of positions, doing legal, financial, public relations, and risk management work for both domestic and global corporations. He has spent one summer in Munich and four years in London. 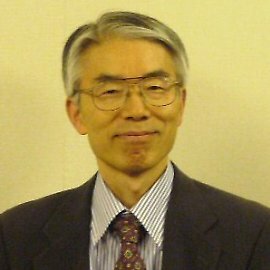 Now retired from company life, Hideo works on and off as a self-employed consultant and researcher. He spends most of his time reading books and newspapers, testing his ideas by submitting papers to academic journals, writing haiku, practicing yoga, and helping nonprofits. He loves the TV program Q-sama, a quiz show in which guests have to answer many questions, mostly about kanji. Many of the questions are, alas, way beyond him. His favorite kanji is 縁, which means "bond" when it has the yomi of えん. This word refers to the sort of link or connection that develops because of destiny, rather than chance. Thanks to 縁, he fell into every job he ever held, as well as each pursuit that now occupies him. All of these things have brought about the life he enjoys today.